No. 86, Rosmead Place Colombo 07. Collecting: Portable generators with light towers to continue search operations, gloves and masks for rescuers, 5 litre water bottles, foldable mattresses for the displaced, towels, bed sheets, sanitary kits, clothes for children including school uniforms. Cash donations are accepted during 8:30 AM to 5 PM. CHA will provide a receipt in return. Cheque’s can be written in favor of “CONSORTIUM OF HUMANITARIAN AGENCIES”. One of our team will go to Koslanda on 1 Nov 2014. We will be leaving tomorrow (1st Nov) @ 6.00 am from pettah. Upto beragala public transport and Disaster Management Centre will provide the transport from there. If anyone wants to join please confirm with Shihan Haniff 0772381981 before 9 p.m. Please do share this with anyone who you think could help us! STITCH is putting together a team of volunteers to help with the cleaning and cooking for the families affected. We are hoping to rotate a team of 12 volunteers for 2 days each starting from this Saturday (1st November). The first team will leave on Saturday at 7.30 am from Colombo hoping to return on Sunday night. From Sunday Nov 2 we are hoping to mainly focus on helping the kids who were affected by this. If you are interested in being a part of that it is required that you attend a small training before hand. The first training session for this will be held on the 1st of November, this coming Saturday at ’Leads’, No 25, Hospital road, Dehiwala (near William grinding mills) from 2pm – 5pm. Please also note that funds at this time are limited and that you will be given bare essentials needed for accommodation. Please spread the message and reach out to us if there is any way you can extend your support. Collecting: Toiletries such as toothbrushes, toothpaste and soap. They will be heading off to Koslanda on Saturday morning (Nov 1st). You can drop off these items at the Cathedral Of The Christ the Living Savior, Bauddhaloka Mawatha, Colombo 7. Collecting: Dry rations, used clothes (good condition), bottled water, medicine and sanitary items. Collecting: clothes (skirts, ladies blouses, sarees, sarongs, trousers, blankets, underclothing for both women and children), medicine (Piriton, cards of Panadol), torches, batteries, sanitary nappies for children, sanitary napkins for women, feeding bottles, food (non perishable food items – biscuits, tinned food) and bottled water. Call 0772381981 Shihan / 0773366488 Danesh for more info. Please note that we need these items before 3rd November. Please share this post. Inform your friends. A group of people from the NDB Investment Bank are hoping to visit Meeriyabedda, Koslanda. If anyone would like to contribute or drop off anything before the 5th of November, contact Kaushini Laksumanage on 077 012 6653 who will also arrange parking at the Bank. Has mobilized teams to aid in the relief of the landslides – If you want to help out with their efforts you can contact them on 0117651200 or 552 224 496. Collecting: Instant noodles, biscuits, milk powder, sanitary items, sheets, pillows, blankets and clothing items. You could also contribute by providing lorries to transport the collected items to those affected. A registered non profit also providing relief to those affected. You can make a pledge here for clothing. They are also looking for assistance in cooking and cleaning. Go here for online donations. For further information contact Charity Apple on 0774951361 25, Simon Hewavitara Road, Colombo 3. LEADS is specifically asking for hygiene pack: Tooth paste, tooth brush, soap, face towel, slippers, pain relief balm, Sanitary napkins. In addition a children trauma recovery pack will be put together. LEADS is looking for Tamil speaking or bilingual volunteers for this initiative which they anticipate will need to be carried out at least a month. Collecting: non perishable food items, bottled drinking water, clothes, undergarments, towels, blankets, disposable nappies, footwear and milk powder. 698/40, Geoffrey Bawa Garden, Negombo Road, Mabola, Wattala. Call Ayaz: 075 905 8058. Collecting towels, blankets, and clothing for children and adults. You can contact them on 0777522499 or 0112076160. Their drop off point is located at No. 22, School Lane, Nawala Rd, Rajagiriya (MASL office). Ministry of Local Government, Northern Provincial Council has inaugurated a project called “New house for poverty line people”. This is will provide financial assistance to construct houses for families who are under poverty line. Under this scheme, 05 beneficiaries from Mullaitivu and Jaffna have been selected. 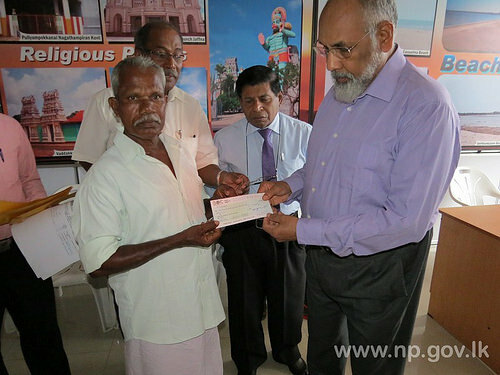 Chief Minister of Northern Province Justice C.V.Wigneswaran has given the first payment to the beneficiaries from Mullaitivu district at the Chief Minister’s Secretariat on 29th October 2014. Secretary to the Chief Minister S.Thiruvakaran also participated in this event. Beneficiaries were selected among the war affected poverty line who didn’t receive any housing assistances from other sources. In future beneficiaries will also selected from other districts in the Northern Province as well. 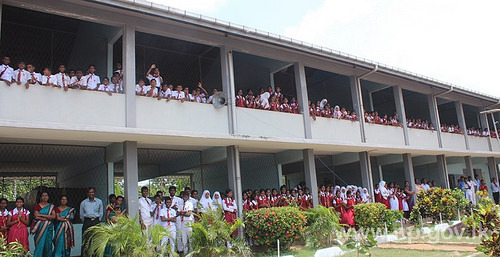 A group of Jaffna students got opportunity to take part in World Children’s Day celebration organized on October 1st by the government at Ranminithenna, in the down south when the 7thth Sri Lanka Army Women’s Corps (7 SLAWC) at Kankasanthurai (KKS) arranged a trip for them in collaboration with Sri Lanka Rupavahini Corporation (SLRC). The memorable journey included travel by air and visits to the Parliament and SLRC to give Northern students firsthand experience in functioning of those places. 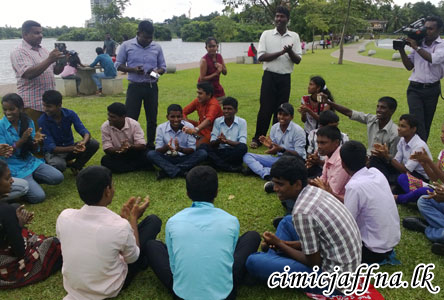 Fifteen boys and five girls from Vasavilan Central College, Point Pedro Hartley College, Ilavalai St. Henry College, Kokkuvil Hindu College, Nelliady Central College, Jaffna Hindu College and Jaffna Central College and five teachers were initially taken to Colombo by road on 29thth by the Commanding Officer 7 SLAWC Major Chandrika Rajaguru who stayed with children and teachers throughout the journey. 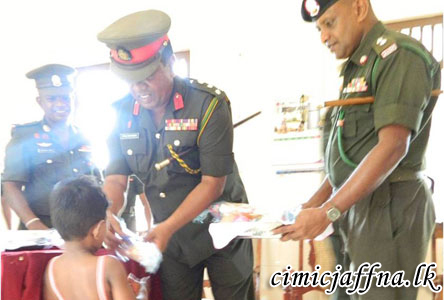 She was assisted by Second Lieutenant N. Narenthra of 20thth National Cadet Corps Headquarters Jaffna. On 30thth they visited the Parliament, SLRC and other places. 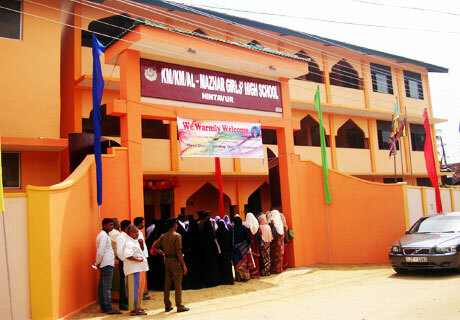 The Newly built three storied building at Al-Mazhar Girl’s High School in Nintavur, Kalmunai was inaugurated by Hon. Mohan Wijewickrama, Governor of the Eastern Province on 18th September 2014. Hon. MS. Uthuma Lebbe, Minister of Road Development, EP, Hon. Members of Provincial Council who represent the area, Mr. NNA. Pushpakumara, Secretary, Ministry of Education, EP, Mr. MTA. Nizam, Provincial director of Education, Hon. YL. Sulaimalebbe, Opposition Leader of Pradeshiya Sabha, Nintavur, Teachers, Students and Members of School Development Committee also present at the ceremony. During the speech, Hon. Governor explained the rapid Development which is taken place in Eastern Province since culmination of the conflict and the Government initiatives on uplifting the Education standards of Children in the Eastern Province.